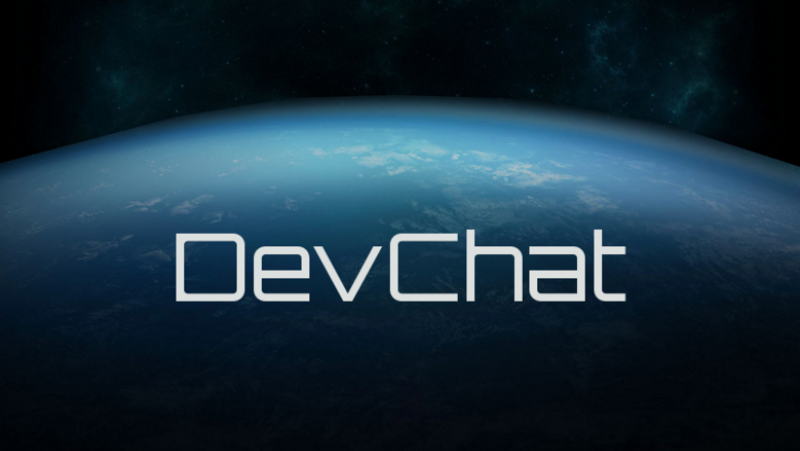 Welcome to another episode of DevChat, this time covering July 28th! July 28th had a massive amount of information. Calix Reneau and Matt Sherman decided to info-bard us (that’s when they bombard us with information. No-one ever said I’m good at naming things) and there’s a lot of information, as well as some humour, in this edition of DevChat! Lots of talk about boosting mechanics. Lots. To start, boost capacity is the short-term limit for boosting, while heat accumulation is the long-term limit. Fuel regen is around 3:1, so if you have 10 seconds of boost, it takes 30 seconds to get it back. Boost will generate more heat than normal thrust, and will take longer to dissipate. CIG are going to completely revamp how the heat / data management pipes work in ships. (7:21:56 PM) CIG Matt Sherman: What Calix said though, getting our Power/Heat/Data flow is going to be critical for making sure all the new systems have legs in the PU. Lots of talk about the racers, most specifically the 350r and m50. People complaining about both ships, and Calix and Matt clarifying that the m50 has the fastest non-boosted acceleration, and the fourth best lateral arrest, while the 350r is supposed to slide. It gets its mass from its engine, and is a ship built for straight lines. (2:58:51 PM) CIG Calix Reneau: what’s wrong with the m50? And then we get even more confirmation that ship masses will be changing when physically based damage rolls out. (3:08:19 PM) CIG Matt Sherman: In the patch, not currently, the masses are more something that will get changed when we get physically based damage rolled out. For those wondering what ships will get balanced next, it looks like the Scythe and Avenger are going to be stepping up to the plate. The Merlin is capped to a size 1 shield, and again, there will be inconsistencies with the ship stats page, especially as the new component system rolls out. Things won’t line up correctly, and will take time to be solidified in game before they’re updated on the site. (3:17:07 PM) CIG Matt Sherman: Merlin is capped to a Size 1 shield. (3:18:14 PM) CIG Matt Sherman: Ya, there’s going to be a lot of inconsistencies, especially as the new component system details roll out where things just will not line up correctly. For those looking to turn their Cutlass into a pocket carrier, you’d have to rip the wings off the Merlin to get it to fit in. So it might not fly so well. (4:32:13 PM) CIG Matt Sherman: You’d have to rip off the wings to get it in the loading bay iirc. The old Connie body, and the new Merlin, didn’t mix well. As such, you won’t see the Merlin attached until the new connie is in-game. (6:59:46 PM) CIG Matt Sherman: Old connie body and new Merlin setup didn’t really mix well, so you wouldn’t see the Merlin attached until we get the revamped connie in-game. The wing-mounts on the Hornet were reduced a while back, the stats page is (again) off currently. Also, sounds like there’s a working plan to have an optional s4 fixed mount to replace the ball turret on the Hornet. (7:20:40 PM) CIG Matt Sherman: Hornet wings were reduced a while back, stats page is just off currently. (7:21:13 PM) CIG Matt Sherman: There’s a working plan to have an optional single S4-fixed mount to replace the turret, but that’s all still pending buildout/testing/etc before it’d go live. Auto aim isn’t free. You have to pay a guy named Otto. More seriously though, any ‘auto aim’ will have a direct cost on the size of your gun. Most likely it will cost a full size, in addition to another size for using a gimbal in the first place. Meaning if you have a s4 weapon slot, and want an auto-aim turret, its max size would be reduced to s2. (7:19:08 PM) Beer4TheBeerGod: Auto aim confirmed. (7:19:15 PM) CIG Matt Sherman: Not for free it isn’t. (7:19:18 PM) CIG Calix Reneau: Otto aim. (7:19:46 PM) CIG Matt Sherman: If you get anything, it’ll be at a direct cost, most likely a full weapon size on top of the size-cost for using a gimbal in the first place. (7:27:42 PM) CIG Matt Sherman: Turrets are effectively implied gimbals for the side-mounts. Like you won’t really see a Fixed-mount manned turret. The ‘new’ size system only affects the internal components (engines, coolers, etc…) The new size system, with only four sizes, is only for components, while the weapon size-table has actually gained a size, and currently ranges from s1 – s12. (7:31:12 PM) CIG Matt Sherman: New sizes just affect the internal components, not the weapons. (7:31:30 PM) CIG Calix Reneau: yeah, weapons aren’t 4 sizes. (7:31:35 PM) CIG Matt Sherman: Weapons actually gained a usable-size in the current plans and would be S1-12 instead of S1-11. The abililty to shoot down missiles / torpedoes is currently in place, and while it’s harder to shoot missiles down, it should be a bit more possible on torpedoes. (7:33:45 PM) CIG Matt Sherman: It’s harder to shoot missiles, but Torps should be more doable in the long-run.